(Par Marina La Forgia) Contente de voir cet assemblage frais et original qui s’additionne à l’offre de très bons vins blancs de Francois Lurton disponibles au Québec! Les Hauts de Janeil est la nouvelle gamme de vins élaborés à la région de Languedoc et voici un blanc différent fait de 80% Grenache Blanc et de 20% Sauvignon Blanc qui se démarque par son élégance et forte expression aromatique. Des notes de pomme verte, de fleures blanches, de citron et de menthe fraîche se mélangent avec quelques petites nuances boisées et de noisette. Une délicieuse complexité d’arômes qui se complète avec une structure dense, concentré et persistante. En finale, il m’a vraiment séduit par l’acidité équilibrée mais si présente qui donne à la bouche une agréable sensation rafraîchissante. C’est sans doute le type de vin blanc fait à mon goût! C’est peut-être aussi le vôtre? (By Marina La Forgia) It's always a pleasure when you arrive to find the kind of wines that fit your palate. When talking about Chardonnays, when talking about new world wines, there is frequently a more or less same stereotyped style in this type of white wine that it doesn't mean that I don't like it at all, but I actually prefer to feel the terroir notes rather than the intense fruit descriptors. That's why this wine caught my attention! Because this crispy and shiny Chardonnay from Chilean well known producer Concha y Toro is somehow different to the most classical ones. The Casillero del Diablo is a brand that offers elegant and refreshing wines, and now it adds to the offer in the Quebec market this new Chardonnay that worth the discovery! The distinctive minerality, acidity and floral notes remind us the sea influence of the Limari and Casablanca valleys and even being a “Reserva”, the oak is assembled with subtility, just highlighting some hints of nuts and vanilla to complete the roundness and the structure. Very good price/quality! A Rosé to confirm the magic of wine colors! (By Marina La Forgia) While discovering and tasting this wine, it's possible also to feel and enjoy the magic of colors! Why? Because this fresh and French "Rosé" by Francois Lurton is made indeed from Sauvignon "Blanc" and Sauvignon "Gris". Voilà, this original blend is been made to captivate! If you, like me, love sunny apero evenings in the terrace, it's almost irresistible not to be charmed by its perfumed bouquet of roses, pamplemousse, pear and a hint of jasmine and lemon. In the mouth, its gently, rounded and elegantly fruity and dry. This rosé Les Fumées Blanches is a great addition to the same name label that already offers a very good white in the Quebec market. And that’s not all! Another special white brand from this producer is getting into the SAQ shelves as well, so I’ll be absolutely tasting and reviewing it very soon! Since I started tasting wines professionally, I always liked and well appreciated the ones of Lurton because of their constant quality, elegance and authenticity, independently the terroir where they come from. This winemaker is in my humble opinion, one of the best in getting the real essence and unicity from the different wine regions and its local varieties, offering to consumers all over wines that are affordable, simply enjoyable and expressive. No matter whether the wines are from Argentina, Chili, France or Spain, his "savoir faire" signature is always the same! And with this new Rosé, I cannot do other than confirm my premise. Enjoy it while it rests… both wine and warm days! Spanish wines are so vast and different that I really think that I will probably never have the enough time to taste them all! Luckily I am a big fan of them, so I am in the continuous research of the best and most significant ones. And they don’t disappoint me, in general, because they are in same proportions both quantitative and qualitative. And this is a premise I always look for on any wine. This structured and generous red is made with a 50% of Syrah, 25% of Cabernet Franc and 25% of Garnacha which result in a good explosion of aromas and flavours. It has also been aged in French oak barrels for 2 years, so we can feel the intensity and richness in tannins and body. If you like unctuous and juicy wines, this blend is a great option. It will perfectly match with your next red meat BBQ in the terrace. Go for it! This red cannot have a best name! "SONO VINO" means in italian "I am wine" and I can confirm that even costing only CAD 7,50 is a very decent everyday table wine from MGM Mondo del Vino. 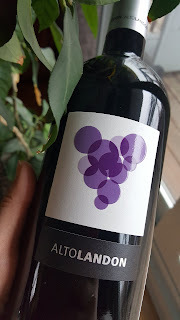 Under an appellation I was not very aware of, "EU wine" (European Union), this blend of Sangiovese, Merlot and Cabernet Sauvignon was an absolutely nice surprise! An unbeatable good option in terms of quality for this affordable price. Yes, believe me...It's a good VINO after all! I recently had the honor to better immerse my senses on Pio Cesare millesimes and wines thanks to a complete tasting in the company of Pio Boffa, great grand-son of the founder. This still family owned family is one of the biggest references of quality, elegance and tradition from Alba, in the Piedmont region, and each of their wines represent exactly the finesse, the know how and the terroir. It's not common to taste whites wines from Langhe DOC, so I'd like to highlight the 2 labels this winery produce, with different styles, from the international and well-know variety Chardonnay. Piodilei is a 100% white varietal with the same body, complexity and ageing potential of the great reds historically produced in the area. A very interesting Chardo! But my special mention goes to "the other" white, which casually it has been named in Italian "L'altro"! The small percentage of Sauvignon Blanc blended with the majority of Chardonnay gives a freshness, minerality and originality that really impressed me. In terms of reds, I also enjoyed a lot the Fides Vigna Mosconi, a Barbera d'Alba DOC Superiore which represents the authenticity and the richness of this traditional variety, grown in the region for decades. In the mouth is concentrated, fruity and juicy with delicious hints of spices and cherry. The Barolo wines as well as the Barbaresco ones are also outstanding, of course. If you look for a great Barolo ready to enjoy now or to keep in the cellar for a while, the Barolo DOCG 2015 is purely delicious. The intensity, the finesse and the elegance are in equal proportions giving a wine with round tannins, velvet body and a gentle fruity aftertaste. Pio Boffa also made us discover in exclusivity the new label "Mosconi". This wine is also a Barolo DOCG but made with a small selection of the oldest Nebbiolo vines of the family in Mosconi, Monforte d'Alba, one of the most prestigious areas of the entire Barolo region. The 2015 is then the first vintage available in the market and it will be produced from now on only in small quantities. An exclusive and unique wine that would be a great choice for my personal cellar! Provenant d'une cave coopérative de la région de Rueda, ce Verdejo Cuatro Rayas est un excellent exposant de la typicité. Issu de l'agriculture biologique et de plus, végan, est un vin blanc rafraichissant et raffiné qui m'a trop plu. J'ai apprécié ses arômes citronnés et herbacés très typiques et très agréables. En bouche, il est aussi savoureux, rond et expressif. Un vin bio authentiquement espagnol à découvrir sans hésitation! Coming from a cooperative winery in the Rueda area, this Cuatro Rayas Verdejo is an excellent exponent of typicity. From organic farming and also vegan, it is a refreshing and elegant white wine that I liked to discover. I highlight its citrus and herb aromas very typical and very pleasant. In the mouth is also tasty, round and expressive. 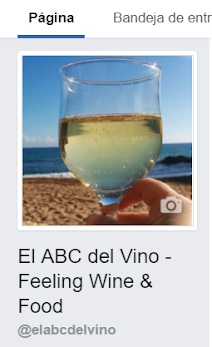 An authentic Spanish bio wine that I invite you to try without hesitation! Bottega is one of the biggest Prosecco brands all over the world. The beautiful golden bottles can be seen and enjoyed almost everywhere we go, and Montreal is not the exception. If you still don't know it yet, there is a passionate family behind leaded by Sandro Bottega, who is the wine "maker" of these authentic, fine and elegant Italian bubbles! I gladly had the chance of attending a very complete tasting on his company and it's always enriching and pleasant to discover the wines and their secrets when they are unveiled first hand. First of all, let me tell you that good Proseccos can perfectly age and be enjoyed on its maturity! A vertical tasting of Il Vino dei Poeti from 2013 to 2018 vintages gave me the exact dimension on how they can evolve in terms of aromas and flavors expression. From more fruity and fresh notes in the young ones to more complex bouquet and structure in the oldest vintages, I am surprised on the evolution of the Glera and its strong versatility. And on top of it, even if we are used to recognize Bottega Proseccos thanks to its elegant marketing and unique brillant packaging, their wines go much further beyond. As synonym of trend and vanguardism, Sandro Bottega made us discovered their new but at the same time "ancestral" Prosecco Nature that was absolutely amazing. Very intense, fruity and floral in the nose with a dry and delicate attack in the palate. A pure must try! And last, but not least, I had also the chance to taste the Organic Prosecco DOC which will be available in the Quebec Market in a few months. Once again, it's another Bottega wine that shows quality and elegance in equal proportions! Buti Nages: enjoyable fresh, juicy and delicious rosé! La Maldita, a new style of Rioja wines! Happy to discover these 2 wines from Vivanco winery, La Maldita, that go beyond the traditional Rioja style! The red is a trendy Garnacha, fresh and easy to drink. Only part of the wine was aged in barrels and just for a couple months, so the wine is young and fruity with notes of red fruits and violets. Yes, it’s possible to get an every day Rioja and still feel the richness and elegancy of the authentic terroir and simply pair it with a pizza or a burger. But, honestly, my special mention is to La Maldita white! This is a 100% Garnacha Blanca, an indigenous Spanish and very rare grape that grows in Rioja in limited quantities. What to expect? In nose you can feel expressive floral and herbal notes, with a crispy and refreshing acidity in the palate. Considering it’s not a common grape I celebrate the intention of this traditional winery to cultivate and vinify this varietal to demonstrate how unique and excellent the Garnacha Blanca from Rioja is. La Maldita brand is, in my humble opinion, a good option to discover also how vibrant and vanguard can also be a classic and traditional region like the already well beloved Rioja. The world of wine still surprises, and I am every day looking for it. Olé! Parallèle 45, a classic red blend to taste the Rhone! Paul Jaboulet Ainé wines are a genuine expression of Rhone Valley and a paradoxical mix of simplicity and complexity. Let me introduce you to the affordable Paralèlle 45, which I recently tasted and once again has convinced my senses with its elegancy, balance and roundness. In addition, this classic Rhone red blend of Grenache, Syrah and Mourvedre is now somehow more "authentic" as it is from now on a cuvée organic certified. Telmo Rodriguez is well known in the wine world as a very dynamic winemaker who has revolutionized the Spanish wines styles. And this white is not the exception! Basa White comes from beautiful Rueda appellation and is made mostly with the queen grape variety of the region, the Verdejo, but blended in this 2017 vintage with a percentage of Viura. The mix is absolutely particular offering freshness, balance and subtility to the wine. Citrus parfums are dominant in the nose and there are some notes of apple, peaches and fennel as well. In the mouth, it is a white with a lot of texture, corpulent and savory. It is always for me a nice surprise to taste the wines from this talented winemaker, and I am gladly discovering now more and more the ones that he elaborates outside and beyond his native and prestigious land Rioja. richness are very well captured in the bottle! In terms of white wines, Chardonnays are always a seductive and elegant option. Cultivated all over the world, we can find very good exponents and we are used to its particularities and expression. But in addition, sometimes you can still be surprised by outstanding ones like this Spanish Chardonnay! Hacienda de Arinzano is a protected, rich and natural area and it’s the first zone who got the “Pago” status in the North of Spain, which means the highest category for Spanish wines, above DOCa. Only wines coming from excellent and unique climate and terroir, but also from the most qualitative vines and winemaking procedures can be considered with this extraordinary appellation. This special Chardonnay is one of these remarkable wines. Even if it overflows with aromas and flavors very related to the typicity, it also expresses the minerality of its growing soils. In the nose, I was gladly seduced by the complex bouquet of coconut, lavender, almonds, honey and peaches. In the mouth, the minerality becomes protagonist, refreshing the palate, giving roundness and structure and making it very lively, expressive and persistent. A specialty available at some SAQ stores for CAD 22. Highly recommended! (By Marina La Forgia) For those who didn’t know it yet, Pecorino is a type of Italian cheese, but it is also an indigenous Italian white grape from Marche! Let me introduce you the “Cornogrande” from Ettore Galasso that really caught my attention. I was curious to taste the particularities of this variety, and then I got seduced by a crispy, structured, vigorous and refreshing white. The acidity is remarkably attractive, with notes of lime, grass, apples both in aromas as well as in flavors. Wine regions like Abruzzo or Umbria are giving a “renaissance” to Pecorino grape so it could eventually become a most common Italian white. In the meantime, it’s an affordable wine to escape from the ordinary! 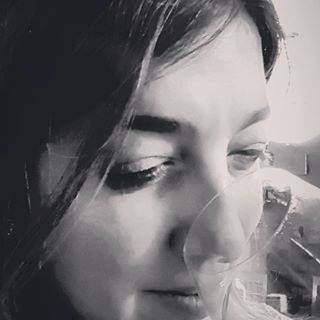 (Marina La Forgia) I like red wines when they are fruity, fresh and elegant, but I like them most when they also have a good structure and are a genuine expression of their unique terroirs...like Rioja ones! The Viña Real Crianza from CVNE Bodegas is without any doubts one of these spanish reds that never disappoint. If you look for a medium bodied and delicate red wine for your tasty meals, then try this delicious blend of Tempranillo, Garnacha and Mazuelo, aged for a minimum of 1 year in both French and American oak barrels. Intense but round, fruity but also a bit herbaceous, this Crianza is an authentic and traditional Rioja. A unique style and a sure value. (By Marina La Forgia) Let me introduce you to this very pleasant white wine from Bodegas Ontañon made with Viura, indigenous grape from Rioja. Vetiver is a good mix of terroir expression and winemaking. It combines intense tropical fruits aromas with some buttery and smoky notes that make it very original, onctuous and rich without losing any elegance and delicacy in the palate. Yes, it's a 2014 vintage which means "an aged white", and it really resumes the authentic Rioja style. However, at the same time this Vetiver is an innovative and audacious type of wine that I really loved to discover. It's good to get out of the comfort zone sometimes, wine tasting speaking...right? My wine discovery of the day is this easy drinking white from Spain. Made exclusively by a Quebec lady in the lands of the Quixote, this is a very seductive and refreshing Verdejo from Rueda. The Petit Bonhomme is the brand name for the wines that Nathalie Bonhomme produces in partnership with Gil Family Estate wine group. I recently had the opportunity to taste this white that overflows in aromas and flavors of citrus, wild flowers and some herbaceous hints. I also liked the innovative labels which is very attractive for consumers willing to learn more about the variety and the region. In a few words, Nathalie with her "Bonhomnes" has succeeded in bringing to Quebec these very expressive and good representatives of a new style of Spanish wine! Salud! If you want to taste something different and you enjoy the "aperitif" moment like I usually do, you have to try this special vermouth from Spanish winery Cuatro Rayas made with indigineus grape variety Verdejo! It's a good and elegant mix of freshness and biterness with a very little sweet hint in the aftertaste. I already liked the unique and refreshing Verdejo on its more common and expressive version of still white wines, but now I am also a fan of a new style of a traditional and historical type drink. Alone or as an ingredient in a cocktail, vermouths have a world of flavors to be discovered!